Any assembly or system that contains electrical wiring is not safe to operate without protective wrap or sleeving. 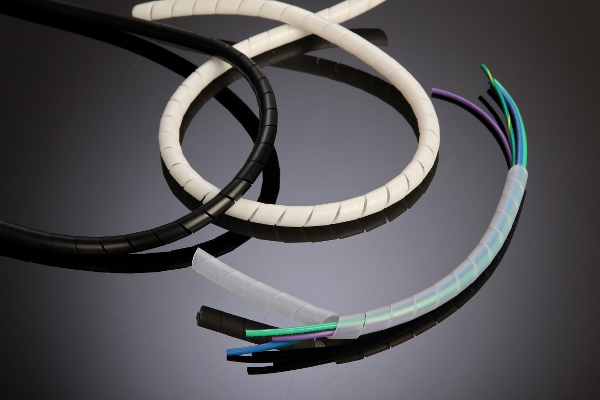 Spiral wrap and braided expandable sleeving are two options that provide exceptional protection for electrical wiring and meet UL safety standards. At IBOCO, we offer spiral wrap and sleeving in a wide range of sizes, guaranteeing that you’ll find what you need in our catalog. Universal spiral wraps make it easy to group wire bundles fast, join groups of wires or tubing for fluidic or pneumatic machine control and create flexible connections between panels and doors. Our selection of spiral wrap includes a wide range of sizes, from .06 actual diameter to .35 actual diameter. Spiral cable wraps are available in black or white. The spiral wraps in our catalog are made from Polyethylene Natural (P) or Polyethylene self-extinguishing (PA). Our spiral wraps undergo extensive testing, ensuring their suitability for rigorous operating conditions. Braided expandable sleeving is available in black or grey, and ranges in size from .375 nominal inner diameter to 2.000 nominal inner diameter. It’s self extinguishing and can operate in temperatures ranging from -50°C to +150°C. These extremely flexible cable sleeves can stretch to 42% of their initial length and expand to 100% of their original diameter. As a result, they are an excellent choice for a wide range of applications. In an effort to decrease the risk of toxic gas emission in the case of a fire, more and more industries are choosing halogen free sleeves. This is especially important for cabling that will be used in places such as hotels, nursing home facilities and large apartment complexes – anywhere large numbers of people could be sickened by toxic fumes in the event of a fire. 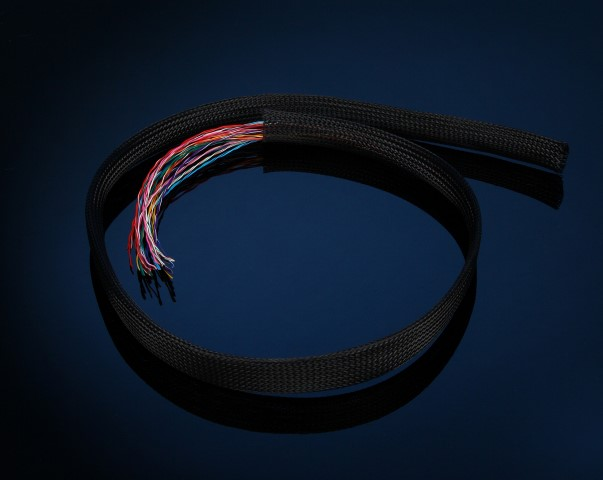 Our braided expandable cable sleeving is halogen free. For more information about our braided expandable cable sleeving and universal spiral wrap, contact us at (732) 417-0066 or request a quote today.